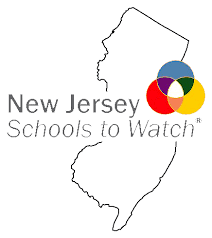 Mountain View Middle School has been redesignated for the third time as a New Jersey School to Watch for 2018 – 2021! This designation is based on the application Mountain View’s faculty & staff submitted, the observations of the NJSTW Site Visit Team, and the on-going commitment that Mountain View has shown to the Schools to Watch process. Schools to Watch is an initiative launched by the National Forum in 1999. Through the Schools to Watch initiative, the National Forum identifies schools across the United States that are well on their way to meeting the Forum’s criteria for high performance. In the state of New Jersey, this Forum's mission is carried on by the New Jersey Association of Middle Level Education and its New Jersey Schools to Watch Committee. Academic Excellence- The school challenges all students to use their minds well. Developmental Responsiveness- The school is sensitive to the unique developmental challenges of early adolescence. Social Equity- The school is democratic and fair, providing every student with high-quality teachers, resources, learning opportunities, and supports. Organizational Support and Processes- A high-performing school establishes norms, structures, and organizational arrangements to support and sustain its trajectory toward excellence. The school has a sense of purpose that drives every facet of practice and decision-making.